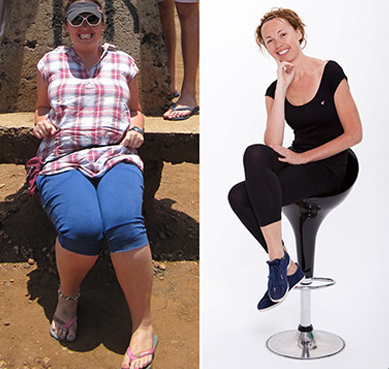 For our clients who, for various reasons, maybe including financial or time restraints, are unable to travel from around the world to Spain, we now offer two Skype-based Gastric Mind Band therapy packages, The Classic Package and the Premier Package. Both of which can be completed in the comfort and security of your own home. The Skype based treatment sessions are conducted exclusively by Martin & Marion Shirran, and follow closely to the treatment protocols that would be provided to clients who had travelled to the clinic in Spain. So how does it all work. The Skype treatment follows a similar route to that of the face to face treatment as detailed on the How It Works page. Following your initial contact with us and our confirmation of availability on the program, you will be asked to pay a deposit, from the Appointments page, which can be paid by Pay Pal or Credit Card. Following receipt of your payment you will receive an automatic online receipt immediately, this will be followed by an introductory email and receipt from a member of our support team, normally within one working day. The balance for your treatment is payable ahead of the scheduled first session. Prior to starting the actual treatment we will arrange an introductory Skype call to introduce you to Martin and Marion, this will also of course give you the chance to ask any additional questions you may have prior to starting the programme. During the call they will schedule a date and time with you for your first Skype session. The sessions can, subject to availability, often be undertaken in the evenings and over the weekend. Ahead of the first session we will email you a copy of our ‘Introduction to GMB document’, explaining just what you can expect from the treatment, and hopefully clearing up any remaining issues or questions. Also prior to the first session we will email you a full and detailed copy of the GMB Forensic Questionnaire, which you will need to complete and email back to us. On receipt, the document will be personally reviewed by Martin & Marion. Your answers and all information provided are completely confidential, and will form the basis of the treatment going forward. At the end of each session we will arrange the date and time of the following Skype call. After each of your GMB sessions, you will be emailed a full studio-produced MP3 audio file containing the Hypnotherapy track, as appropriate for that session. In addition to the Skype calls with Martin and Marion, you will during the course of the treatment also be emailed a number of additional audio and video files as appropriate. Whilst the Skype treatment follows closely along the lines of the in-house treatment, it is normally provided over a larger number, of shorter duration sessions. The treatment will normally be completed over four weeks, but this can be adjusted to suit your requirements. If required additional sessions may be added. The Skype-Based Gastric Mind Band Therapy was developed after many months of live trials to ensure it delivers a truly inspirational weight loss experience of the standard that GMB clients worldwide have come to expect. 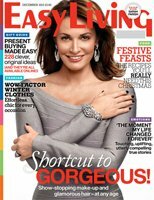 Also of course it has to deliver the always desired result: Fast and more importantly, Permanent Weight Loss. Whilst clients visiting the clinic undertake the treatment over four sessions, Skype clients will normally undertake a minimum of six sessions of a shorter length. Many of the components of the clinic based treatment are incorporated, additional sessions are added as and when necessary. For a full understanding of the treatment you may find it helpful to read the How Does It Work Page. To maintain high standards, and to ensure that each client receives the required level of service, places are limited to just four Skype clients at any one time. We depend almost 100% on recommendations and client referrals, so when we say to clients that their success is as important to us as it is to them we honestly mean it, we will as always strive to exceed your expectations and deliver an amazing experience. After completing the treatment, you will receive a full PDF copy of the GMB treatment manual, and a further dedicated Skype follow-up session will be scheduled, enabling us to track your progress and incorporate any adjustments necessary. On going contact and support is a vital component of the treatment, so you will be encouraged to remain in regular contact and share details of your progress on your journey. The total cost of the Classic Skype-based Gastric Mind Band Therapy programme is £995. The Premier Pro-Expert Skype Package contains all of the components of the Standard package, as detailed above, with a number of additional elements included. The Expanded treatment incorporates a number of additional on-line Skype sessions, (a minimum of nine sessions are normally provided) and also features additional studio produced video sections. Clients undertaking the Premier package also benefit from an additional hypnotherapy sessions and an extra CBT session along with the dedicated nutrition section as provided to clients undertaking the Premier treatment at the clinic. Finally, clients on the Premier treatment will be emailed additional Client Work Books in PDF format as and where required. 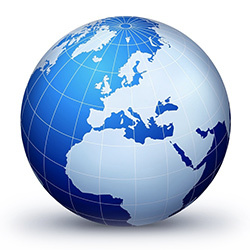 The Premier package is offered across all time zones. The total cost of the Skype-based Premier Pro-Expert Gastric Mind Band Therapy programme is £1,390. 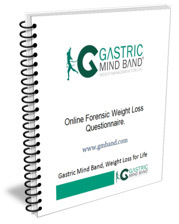 To answer a few common questions regarding the Skype-Based Gastric Mind Band Therapy. Yes for an online based treatment the investment required maybe considered by some to be high, however clients should be aware that we strive to ensure that the Skype treatment provided will be similar to that provided to clients visiting the clinic, resulting in a similar time input at the clinic. How about the success rate for the Skype treatment, so many clients ask about the comparison between the two treatment options. The success rate of the Skype based program as you would maybe expect, is slightly lower than the face to face alternative treatment as provided at the clinic. However the results achieved are still considerably higher than alternative weight loss approaches. 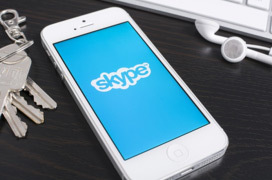 The success rate of the Skype Premier Package is piqued when compared to the Classic Package, owing to the number of extra sessions and on going support. 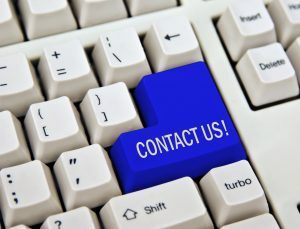 Please do not hesitate to contact us for any additional information you may require, we look forward to hearing from you, and helping you achieve, your desired weight loss.